5-pin tumbler with hardened steel pins. 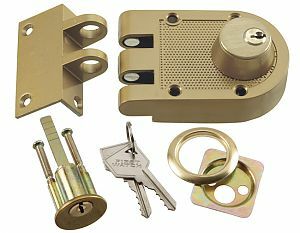 Double cylinder locking unit & strike. Locks door to jamb to prevent forced entry. Door thickness up to 2-1/4"